The Archdiocese of Philadelphia’s Catholic Charities Appeal (CCA) will partner with the Philadelphia Flyers to host a night of family fun at the Wells Fargo Center. A portion of the proceeds from each ticket purchased through a dedicated link will go directly to CCA. 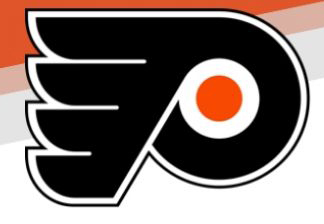 The game game, at which the Flyers will skate against the Pittsburgh Penguins, will kick off at 7 p.m. on Monday, Feb. 11 at the Wells Fargo Center (3601 South Broad Street, Philadelphia). CCA is the largest annual fundraising initiative in the Archdiocese. This year’s appeal will be a channel of hope for tens of thousands of people through countless organizations and ministries in the five-county archdiocesan area, Programs receiving funding from CCA include housing for the homeless, community food cupboards, afterschool academic enrichment and recreational opportunities for youth, and family support services. To purchase tickets for the game and to support the Catholic Charities Appeal, please visit https://groupmatics.events/event/catholiccharities6. If 100 tickets are sold, a CCA beneficiary will perform on the concourse prior to the start of the game. In addition, one beneficiary will have the opportunity to sit in the penalty box during player warm-ups. Seating will be located in the section 222A at $60 per ticket. In order to benefit CCA, all tickets must be purchased through the above link by February 5.